Cost overruns in its construction business. 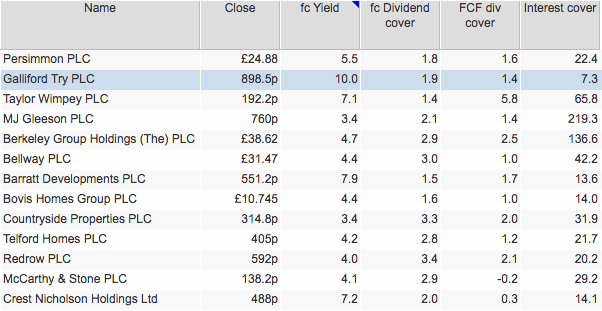 A cut in the dividend – albeit a small one. The decision to ask shareholders for £150m of fresh money. Carillion’s (LSE:CLLN) demise has reminded investors of the riskiness and poor quality of construction businesses as investments. Despite the fact that Galliford Try is unlikely to go bust because of its construction contracts it is understandable why some investors have decided that they’d rather not be exposed to any risk. Investors don’t like dividend cuts for obvious reasons. They also tend to get a little bit frightened when companies ask them for more money, especially when it seems that the money is needed to shore up a low quality business. This combination of events has led to Galliford Try trading at very low valuations on a number of measures. Unsurprisingly, these low valuations have attracted the attention of bargain hunters. But are the shares really good value or are they cheap because they deserve to be? In this article, I am going to look at a way that you can try and answer this question. Before I do, let’s look at why the company has cut its dividend and is asking shareholders for £150m of fresh cash. Did the company really need to cut its dividend and raise extra cash? In 2017, Galliford Try’s dividend was covered 1.4 times by its free cash flow. That’s a pretty comfortable position and one that is not usually associated with an impending dividend cut. The company also doesn’t look as if it was in any danger of not being able to pay the interest bill on its borrowings with interest cover of over 7 times. However, a closer look at its finances suggests that both a dividend cut and a call for fresh money from shareholders probably makes a lot of sense. The problem rests with the company’s construction business which has been running out of money. The last year has seen a significant decline in its cash balance mainly due to cost overruns on a road project in Aberdeen. At the end of December 2017, the cash balance was down to just £44m compared with £110.8m a year earlier. This cash balance was not high enough to help the company meet its commitment to construction projects. It may also have been low enough to unnerve existing and potential customers. So a £150m request for more cash is probably also intended to ease any worries that might have arisen. But why didn’t Galliford Try just borrow the £150m? This is a question that lots of people are asking. I think the answer is relatively straightforward. Firstly, the company typically has more debt than is shown on its balance sheet. At the end of December, net debt (borrowings less cash) was £85m. But average net debt for the previous six months was £203m. This is due to working capital flows within the business – the timing of receipts from customers and cash payments to suppliers. Secondly, construction and house building are cyclical businesses whose fortunes tend to move up and down in line with the economy. This means they are not the kind of businesses that should have lots of debt in the first place. This is because the sharp fall in profits that tends to occur in a recession can make it a lot harder to pay interest costs if there is lots of debt. As far as the dividend cut was concerned, this can largely be explained by the company wanting to give itself more dividend cover going forward and therefore more confidence that it could maintain its dividend payments. It wants the dividend to be covered twice by its earnings per share compared with around 1.7 times for the last few years. This makes sense given the cyclicality of the business. Has the stock market over reacted? 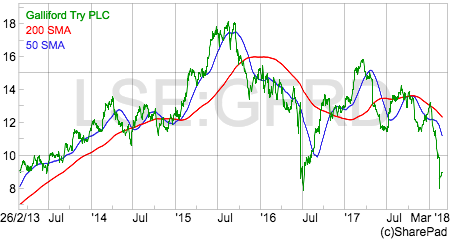 Despite some concerns, it does beg the question as to whether Galliford Try’s shares are now undervalued. A forthcoming rights issue does complicate matters slightly. The terms of the rights issue have not been announced yet. No-one knows yet what the rights issue price will be and how many extra shares will be issued as a result. This makes it difficult to work out what the share price should be after the rights issue has taken place. I’ll have a guess at this later. Despite this, it is possible to try and work out whether the shares might be cheap or expensive. Life would be simpler if Galliford Try had just one business such as house building. Then we could compare its valuation with other builders. Unfortunately it doesn’t. Linden Homes – a house building business with a significant exposure to the south of England. Partnerships and regeneration – a focus on urban regeneration and providing affordable homes. Construction – a business that builds things for the government such as hospitals and infrastructure such as roads and utility networks. 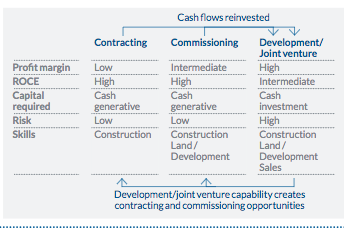 Equity stakes in Public Private Partnerships (PPPs). By valuing these businesses separately, we can get an idea as to how much the shares of Galliford Try might be worth. We do this by using a valuation method known as the sum of the parts (SOTP). The valuations of the four separate businesses are added together and then liabilities such as borrowings and pension deficits are taken away in order to get a value for the equity of the company. Let’s look at the value of each business in turn. Like the rest of the house building sector, the business is currently doing very well. Revenues, profits and margins are increasing as the company has been selling more homes for higher prices. Since 2013, private average selling prices (ASPs) have increased by 41% to £370,000. This is due to changes in the mix of sales towards larger homes as well as receiving a helping hand from the government’s Help to Buy scheme. Linden has plenty of land with the number of plots usually kept at between three to four years’ current building rates. The current land bank of 11,540 plots has a gross development value (GDV) of just over £3.4bn. Note that the ASP in the current land bank is assumed to be lower than in recent years. This is due to the plan for Linden to standardise the properties that it builds and sells. This will reduce selling prices but building costs are expected to fall as well which is intended to keep profit margins at their current healthy levels or slightly better. Like other builders, the company also has strategic land – land which doesn’t currently have planning permission – which could potentially create a further 13,015 plots to build on. So how much would Linden Homes be worth as a separate standalone business? As house builders are essentially geared plays on the value of their land they tend to be valued on a multiple of their net asset values (NAVs). This is not easy to do with Linden Homes. Although the company does give a NAV figure for it in its accounts I have ignored it as there seems to be lots of assets shifted to the company’s central costs which makes comparisons with other builders difficult. So I have decided to look at valuing Linden Homes using a multiple of its trading profits (EBIT) by taking an average for the sector and applying it to its most recent profits. I can get a sector average EV/EBIT multiple using SharePad. 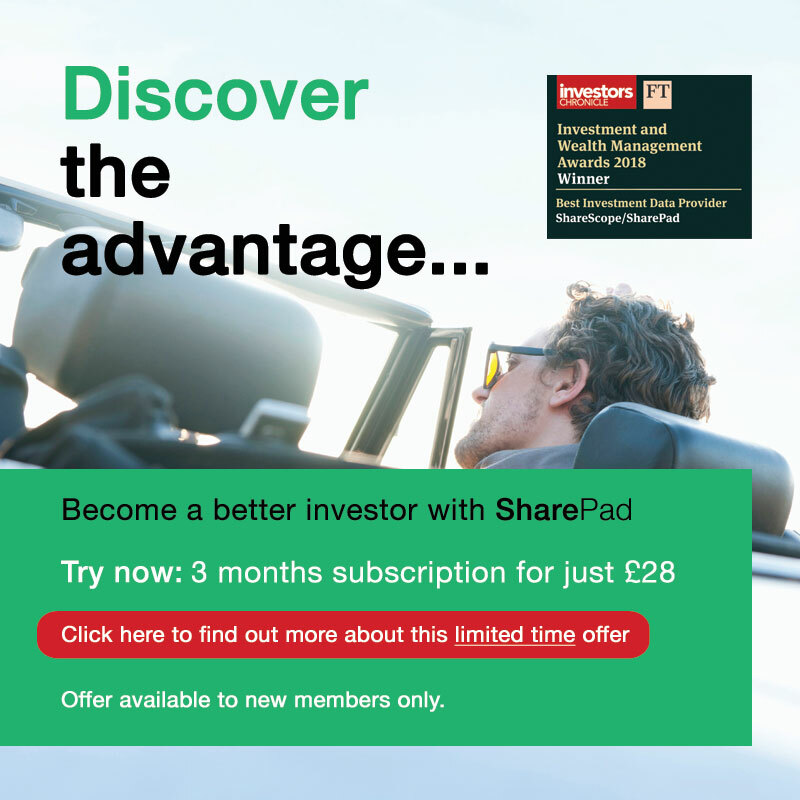 I have done this by setting up a sector filter and creating a portfolio of building shares excluding Galliford Try – as its construction business distorts the analysis. I then add an EV/EBIT column and then ask SharePad to give me an average by selecting the Options button on the List view toolbar and then Column statistics. This gives me an average multiple of 7.9 times. Applying this to Linden Homes’ trailing twelve month EBIT of £176.9m gives an enterprise value for the business of £1,398m. This business is a slightly different way of providing affordable new homes for people. It is based on regenerating old buildings or derelict sites. It can take varying approaches from just doing the building work to owning the land and building the houses. The type of work done determines the amount of money Galliford Try has to invest and what profit margin and ROCE it can get in return. I’m not going to get into a detailed discussion about this business here but the company has a nice chart in its annual report which explains the different returns. This is shown below. A simple explanation is that the less money needed to be invested in a scheme, the lower the risk, the lower the margin and the higher the ROCE. The rationale behind this business is that there is a shortage of affordable homes in the UK and a shortage of expertise to provide them. Galliford Try with and expertise in construction and house building seems well placed to do the job. This business is growing rapidly at the moment but note that profit margins are not particularly high. I must admit that I find it quite hard to put a value on this business. In many ways it is a blend of construction and house building with more emphasis on construction. The construction part seems less risky than standard construction contracts which suggests that the profits should command a higher multiple. Should it command a higher multiple than Linden Homes? In some ways this business is at an earlier stage of development and could also be less cyclical and therefore less risky due to the lower selling prices involved and lower land content. The company is looking to grow this business significantly and is targeting revenues of £650m and profit margins of 6-7% by 2021. This implies operating profits in the region of £39m-£45m compared with just over £20m now. If this can be achieved then a multiple of 10 times EBIT might not be unreasonable which gives an EV of £208m. You’d have to pay me to own shares in a construction company. I find them impossible to understand or trust and think there is huge scope for aggressive accounting of profits. Even if I did believe the profits, the profit margins are so low that you do wonder why anyone bothers trying to make money from it. Given the experience of Carillion, you could easily end up with a construction business which is a liability rather than an asset. Galliford Try is cleaning up and de-risking its order book and is aiming to make 2% profit margins or better on £1.8bn of revenues by 2021. This suggests that the business should be worth something. To keep things simple, I’m not going to give any value to this business. This may be very harsh and unrealistic but I’m trying to be conservative in my valuation. The directors valued them at just over £30m last summer. The current balance sheet value is £26.1m. I’m going to use that. Putting all these valuations together and taking away liabilities gives a value per share of 1599p compared with a share price at the time of writing of 922p. This is not too far away from where the shares were trading just under a year ago. Let’s say my valuations are too optimistic. As Linden Homes is the biggest source of value, let’s see what happens when we value it at the lowest forecast EV/EBIT multiple in the sector (Crest Nicholson) of 5.3 times. This would reduce the SOTP valuation to 1044p per share and would only represent an 18% premium to Linden Home’s current book value of land and work in progress. What about the impact of a rights issue on the share price? This is where things get a little bit trickier. It all depends on the price of the rights issue shares and how many new shares get issued. This is guesswork but let’s assume that the rights shares are issued at 450p – more than a 50% discount to the current share price. This is a big discount and would require 33.3m shares to be issued to raise £150m. Assuming that 2% is creamed off in fees by advisers, £147m then goes into the company’s coffers and reduces net borrowings. I have added this number on to the asset or EV side of the SOTP valuation. The effect is the same. Based on a lower value for Linden Homes, this gives a SOTP of 871p per share – not much lower than the current share price. 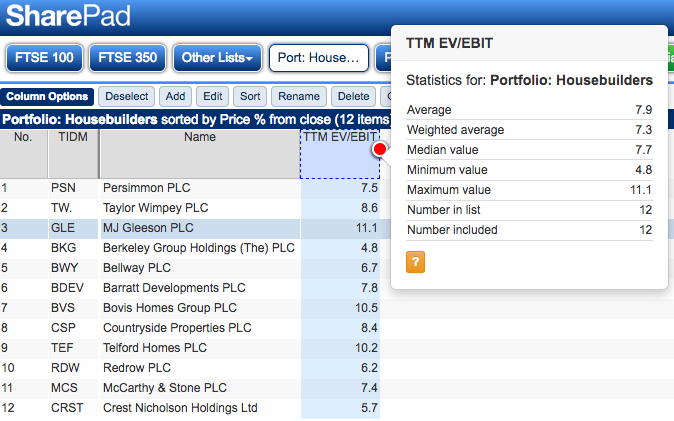 Using an average sector multiple for Linden Homes gives a valuation of 1267p. These kinds of valuations are subject to the garbage in, garbage out principle. More knowledgeable and smarter investors may think that my assumptions are a load of rubbish. If I am vaguely in the right ballpark then perhaps a lot of bad news is already priced into Galliford Try shares. Why not have a go at doing your own valuation using the SOTP approach and see what you come up with.